This cancer study provides a wonderful opportunity for you to make an impact on the health of many – perhaps someone you know. Enrollment will take place at the YMCA of Southern Indiana Clark County Branch March 19-20, 2013. As part of enrollment, participants simply fill out a comprehensive survey packet about health history, provide a small blood sample (to be collected by trained phlebotomists) and provide a waist measure. The process takes approximately 20-30 minutes. From that point forward, study participants will be followed over time to update information via periodic, mailed surveys. Your involvement in CPS-3 will help American Cancer Society researchers understand the causes of, and ultimately determine ways to prevent cancer. If you are willing to make a long-term commitment to the study (which involves completing follow-up surveys periodically over the next 20-30 years), are between the ages of 30 and 65 years old and have never been diagnosed with cancer, you’re urged to participate in this study. Even if you don’t meet the eligibility requirements, your significant participation may come from telling everyone you know about the opportunity to help prevent cancer. 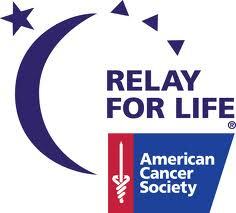 Additionally, you can sign up for the upcoming American Cancer Society’s Relay For Life, Clark County! It’s set for May 17-18, 2013 at Charlestown High School from 7 p.m. – 7 a.m. The Relay For Life is a community-based, volunteer-driven event where community members unite to celebrate cancer survivors, remember lost loved ones and fight back against a disease that affects so many. Funds raised through Relay For Life support the American Cancer Society’s mission to create a world with more birthdays by helping people stay well, by helping them get well, by finding cures and by fighting back. To register your team for Relay For Life of Clark County, visit relayforlife.org/clarkin. Click HERE to download the information sheet for the event. To find out more about CPS-3, visit cps3kyin.org, call 1-888-604-5888 or e-mail cps3@cancer.org. You may also click HERE to download a flyer with more information.